Checklists are a go-to content type that content marketers use to add a little extra value. It gives your reader a condensed version of your content, all action items, no filler. Readers tend to enjoy checklists, too—they perform well as a gated asset or as a stand-alone. The interactivity makes the checklist far more valuable for the reader, and justifies having the end report gated. It also introduces an element of discovery with clicking on each icon—which might lead to readers spending more time with the content. Let’s face it—we love looking at ourselves, talking about ourselves, taking pictures of ourselves, and learning about ourselves. Don’t chalk that up to millennial narcissism either. Some of the earliest photographs we have are self-portraits (not to mention all the old-school self-portraits from painters and sculptors). Take note of how Influitive presents the results: There’s your marketing type, a description, and then a brief paragraph on skills your type might need to further develop. Right under that—an eBook offer! What a perfectly logical next step. No one’s product exists in a vacuum. Unless you sell vacuum bags, and even if you do, that’s not what I meant and you know it. Your target consumer has an entire life outside of their relationship with your product—and many aspects of that life also involve interaction with other products. 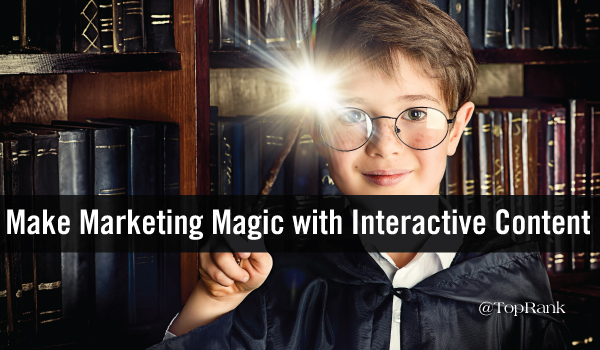 Interactive content can help you address the larger context of your audience’s lives. 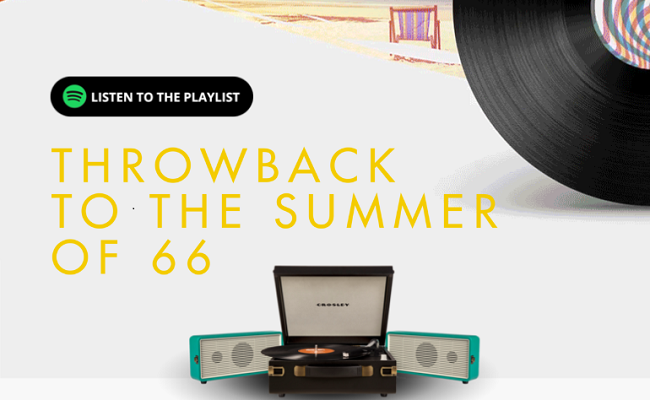 This fantastic Summer of ‘66 widget from Asos is a prime example of that kind of synergy—not the bad, buzzword-y kind, but a genuine combination of separate elements to make something groovier than the sum of its parts. Pick your 60’s style, and get music recommendations you can buy on Amazon or iTunes, clothes from Asos, and a Spotify playlist to stream immediately. Great article, Joshua! Thanks so much for including a couple of examples from SnapApp customers – we’re so proud of the great work they’re doing! That marketing quiz is slick, kudos to everyone involved on that one. And I do love the added functionality on the Cross Country Home checklist. It was an easy call to include both of those–they’re each next-level stuff. Joshua – Thanks for sharing the piece LinkedIn created with Ceros, as well as the Asos piece created in Ceros! I should clarify something very important: while you might think we are wizards based on all the interactive content we’re conjuring up, we’re only in year 3 at Hogwarts. Still work to do! Both of those were so visually stunning and a blast to play with. You’ll all pass your OWLs with no trouble. Thanks for sharing such great peace of information, a study with evidence showing that the conversion rate of interactive content was twice what static content managed to achieve.